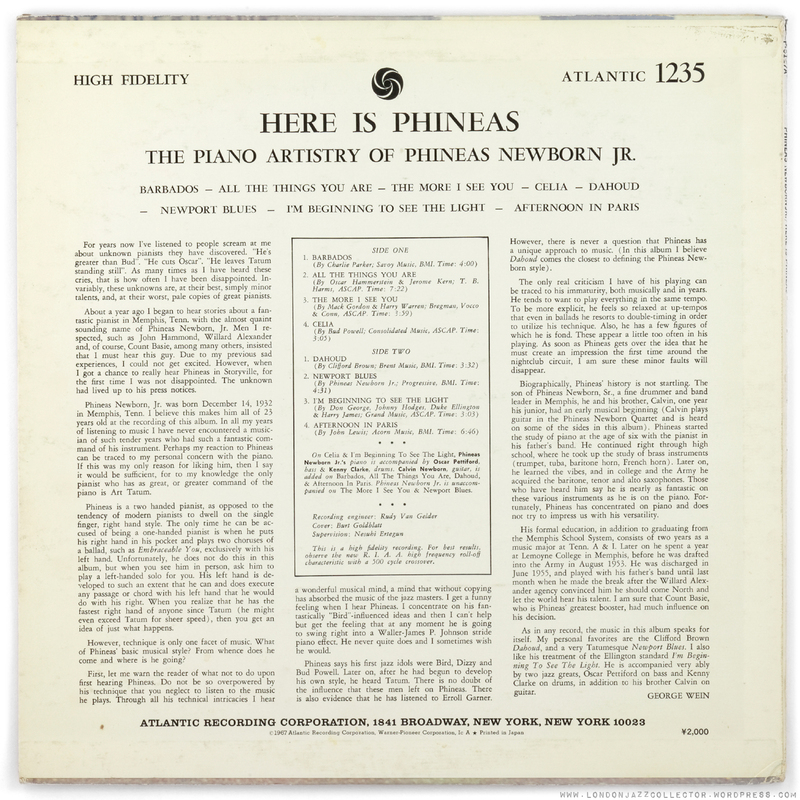 For comparison, a similar period van Gelder etching from Blue Note. The hand is very similar in formation,The “R” follows the same direction of stroke. In both cases the “V” is smaller than the letters either side, whilst the “G” has a separately drawn serif. Taken as a whole there is a very high probability it is drawn by the same hand. Found another RVG? in my Atlantic collection. This is the next record to be produced after the Phineas listed above. Did we get confirmation that Rudy did some work for Atlantic? Thanks for keeping us entertained by your delightful reviews! I found a database of work Rudy had done and these Atlantic pressings were listed. I double checked the copy’s I had for the RVG in the dead wax to no avail. The 1236 Cy Walter – Rodgers Revisited album with the etched RVG in the dead wax also credits Rudy on the back cover. However, it was not listed in the data base of projects that he had worked on. 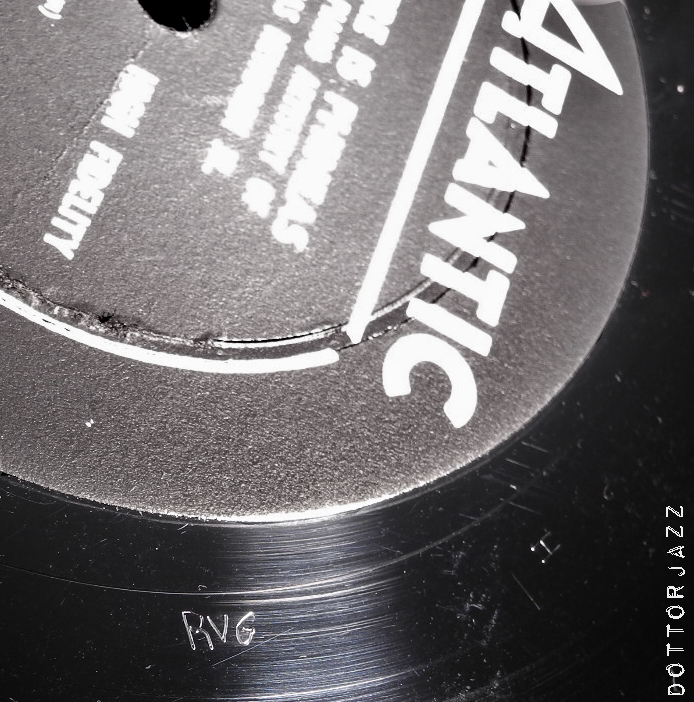 Could 1235 & 1236 be the only Atlantic pressing with the RVG etching? These would have been his first 2 for Atlantic as lead engineer. Perhaps he left his mark…. I’m almost positive I read on the DG Mono site that Van Gelder a small number of sessions on Atlantic – maybe just one?